Choices often impose rather than expose themselves. Why do we select a certain exhibition to cogitate upon, rather than another perfectly good one? I feel tempted to avoid the obvious contenders which, this year, in London, are three women, Rosemarie Trockel (Serpentine Gallery), Laure Prouvost and Sarah Lucas (Whitechapel Gallery) whereas in Paris it’s Pierre Huyghe’s and Philippe Parreno’s over-scripted mise-en-scènes (Centre Pompidou and Palais de Tokyo). I will not let you know, this time, who would have been the clenched fists up in the air in my imaginary boxing ring, but I suppose it is easy to guess. 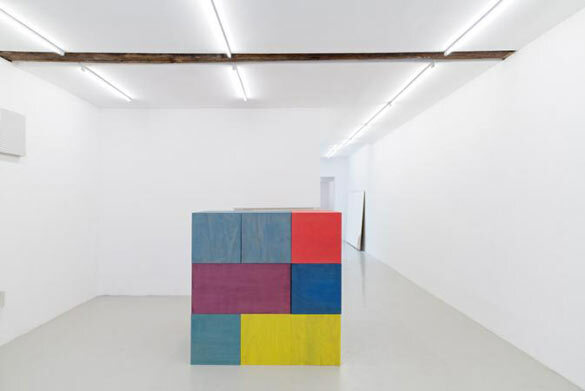 Nicolás Paris, Room for us, exhibition view, Kadist Foundation, Paris, September 28 to December 8. The spicy element of long lasting surprise will be my art barometer. Hence, Mira Schendel’s solo exhibition at Tate Modern makes it to number one. This polyglot Swiss artist who escaped to Brazil during WWII, even though she was a Jewish converted to catholicism, did not master any of the languages she spoke but played with symbols, signs, letters, broken narrative, the texture of paper, post-minimal installations and painting. Her use of words as an abstract material and her obtuse creations were a fire that lit the end of my year. 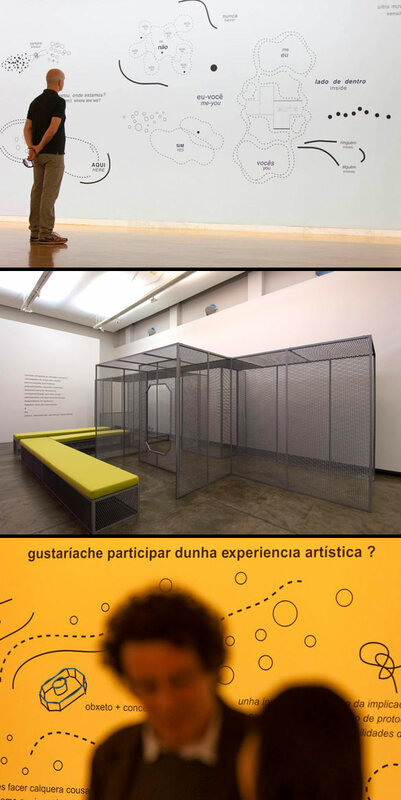 Before that, I had come across the work of Brazilian Ricardo Basbaum (Centro Gallego de Arte Contemporáneo, Santiago de Compostela). Basbaum would later bring his interactive work to The Showroom, in London. His diagrams are mesmerizing, not only because they denote a fully developed artistic vision for which language is a medium and a material but also because they stand for an interactive research with the visitor himself. This reminds me of a flawed, open show – my favorite kind. It was Nicolás Paris’ Room for Us at Kadist Foundation in Paris. The colombian artist refuses to leave the show to its own devices – he comes back to it and involves the local community. Thus, the show changed everyday, which is as incongruous as a book that would shift its words around. Nevertheless, the visitor experienced singularity rather than loss. The use of language played a big part in my choices but in Nicolas Paris’ case it was the fluctuating status of the art work. 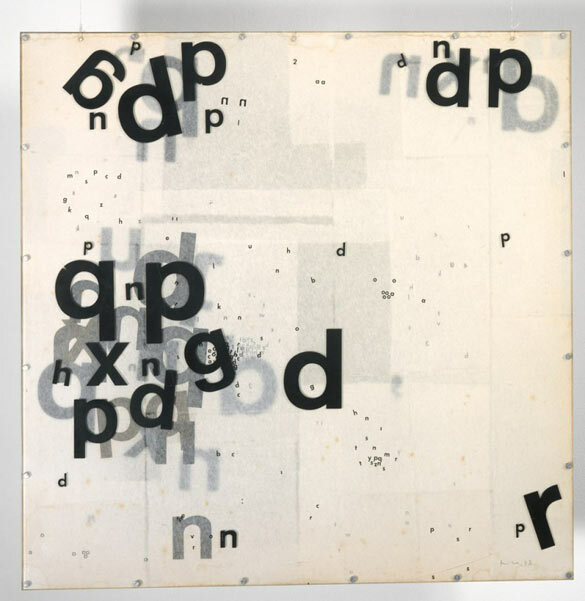 Mira Schendel, Graphic Object 1967–8, Colección Patricia Phelps de Cisneros © Mira Schendel estate. Ricardo Basbaum. Diagramas. 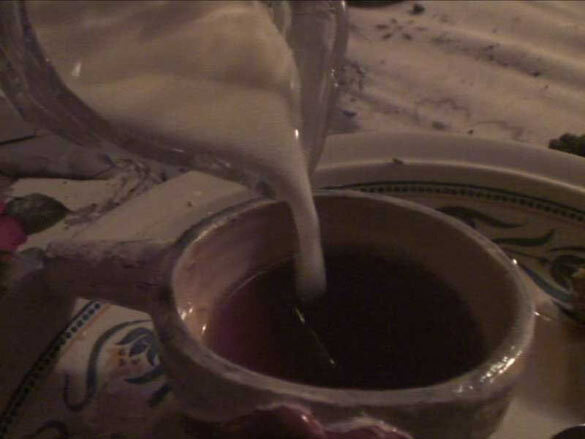 Centro Galego de Arte Contemporánea, 28 June – 6 October 2013. Comisario/a: Miguel von Hafe Pérez & Ricardo Basbaum. To fully unravel this language-based thread, I have to mention another compartmented show at Rowing Projects, in London, an initiative of the duo Tyler Woolcott and Guillaume Breton, who invited Ruth Beale and Nicole Bachmann (Performance as Publishing, ) to organize a series of events. They were smartly titled From Script to Reading to Exhibition to Performance to Print, thus encompassing the processes of performance using speech. Needless to say, I missed all events but one where the highlight was a perfect reading by Marcelline Delbecq.